Services are also conducted at Pioneer Lodge on the first and third Friday of the month at 11.00am, and at BUPA Nursing Home on the second Thursday of the month at 11.00am. The Very Rev’d Rob Harris and his wife Shanti have been welcoming parishioners and visitors to the Cathedral since 2007. Ordained in the Grafton Diocese in 1999, Dean Rob previously held the role of Principal at one of the Grafton Diocesan Junior Schools. Shanti, also a primary teacher has retired and now minsters full time with Dean Rob. Being the Dean of Riverina, there are not only parish, but also Diocesan and National church ministries and mission he is involved in. 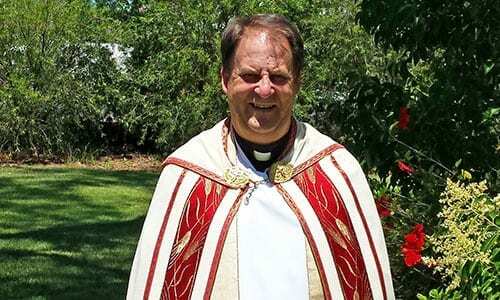 Dean Rob has been a driving force behind the establishment of the Diocese of Riverina Theological Study Centre in partnership with Ridley College. Dean Rob heads up the Study Centre based at the Cathedral, providing formation and in-context learning to regional theological students from the Diocese. As Dean of the Cathedral Dean Rob oversees The Cathedral of St Alban the Martyr, as well as St Luke’s Rankins Springs and St George’s Yenda. 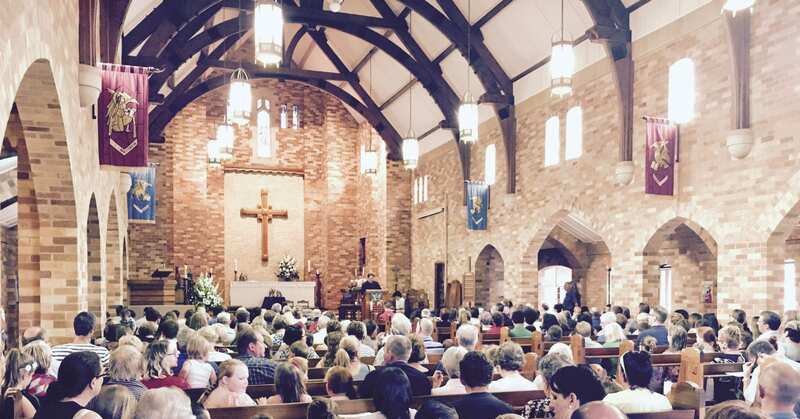 In addition to weekly worship at the the three centres, services range from Sung Eucharist at the Cathedral, Family Service at Yenda and Farm Church at Rankins Springs. Dean Rob and Shanti like to travel during their annual leave, visiting Shanti’s family in Malaysia and their three grandsons in Brisbane. They have two adult children Caroline and David. Dean Rob also serves as Diocesan Administrator and Chair of the Bishopric Nomination Committee. St. Alban the Martyr Anglican Cathedral is the flagship building for the Diocese of the Riverina and plays an significant role in the history of the City of Griffith. 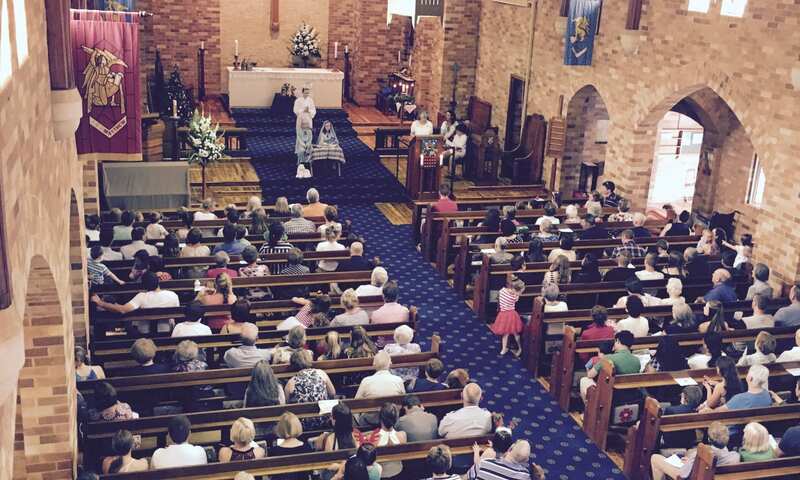 The parish itself was established in 1920 and offers a place of worship and ministry for the people of Griffith and the surrounding areas of Yenda, Yoogali, Hanwood and Rankin Springs. Building a sense of community is important to us, not only for our parishioners, but also for the wider community. The parish of Griffith offers the services of their Anglican Opportunity shop on the Cathedral grounds. The Cathedral is often thought of as a place of learning and enrichment and we widely encourage this through the Ridley Theological Study Centre, the Four Rivers Bookshop and of course, through our prayers and sermons. Expressing our love for God is often best enjoyed through the arts and so we are proud to have a church choir, team of bell ringers, organists and volunteer florists, all of whom embrace the Holy Spirit in their gifts. We’re always keen to see new faces and hope to welcome you to one of our services soon.